Location, location, location!!! New reduced price now at $875,000. 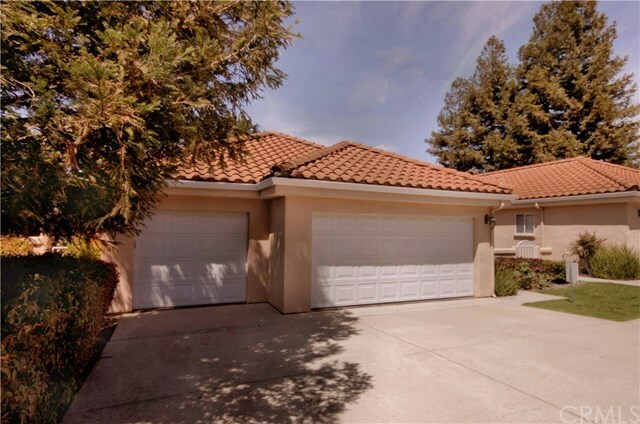 Great 3 bedrooom, 2 bath and 3 car garage home overlooking the 18th fairway at San Luis Obispo Country Club and is only a 5 minute walk or a 2 minute golf cart ride to the first tee. One bedroom has been converted into a nice office but could be both. A lot of built-in cabinets and bookcases as well as a small workshop area in the third stall in the garage with plenty of room for your golf cart. The back patio faces Southwest to enjoy the views and the golden sunsets. All interior walls have been painted as well as all doors inside and outside. Truly super private club if you want to join with a championship golf course, tennis, pickle ball and bocce ball courts, heated pool and superb dining. Lots of fun activities for the whole family and good place to hold those special parties. This home will help you enjoy the SLO LIFE! Call your Realtor and have him/her make an appointment to view this wonderful home.